Despite being Asia’s fourth-largest economy, Korea has been hit by the global economic slump, resulting in a struggling construction and housing market. Facing the current issues of a growing population and limited natural resources, the government has taken strong initiatives for green growth. 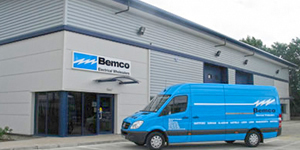 This is providing interesting opportunities for KNX in the country. 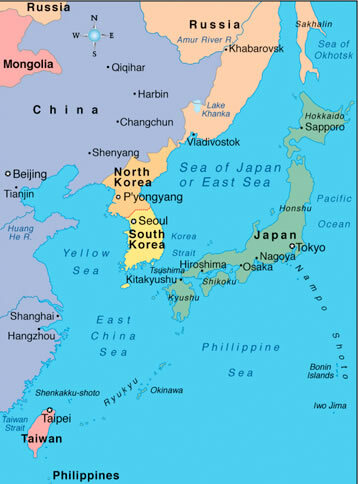 Korea in relation to its neighbours. Daniel Lee, Marketing Senior BDM & PM at Philips Electronics Korea talked to KNXtoday about South Korea’s challenges and the evolution of the KNX protocol in the territory. 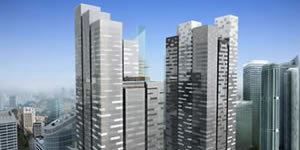 According to reports, Korea dedicated 80 per cent of its US$38 billion stimulus programme into green growth in 2011. Furthermore, it committed two percent of its annual GDP over five years to the same national cause, with Seoul being looked upon as a good example of green-powered development. Lee points out that the push to save energy is also aimed at avoiding blackouts and minimising having to import sources of energy. “Architects and Mechanical and Electrical (M&E) associations, have recognised and are requesting LED lighting and dimming control solutions as well as light balancing for daylight management” Lee says. 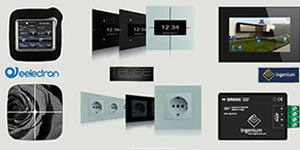 KNX lighting control demo kit. Local energy- and safety-related regulation have been reinforced in South Korea. The country has two main standards for green energy: the LEED (Leadership in Energy & Environmental Design) and G-SEED (Green Standard for Energy and Environmental Design). Also, new buildings have to prove that they comply with the EPI (Energy Performance Index) in order to get permission to be built. 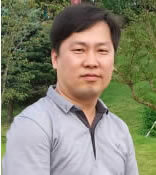 The KNX National Group Korea was founded on February 28, 2012, with Ik Hwan Seo, Yun Hee (Daniel) Lee and Moon Sang Park being elected as President, Vice-President and Secretary respectively. KNX International took the opportunity, to present the National Group to the KNX Korean community in the afternoon of the same day, during the second KNX Korea Forum called ‘Create a Green, Comfortable, and Energy Saving Environment for Modern City Life,’ in which around 100 participants attended. KNX National Group Korea with KNX Association CEO Heinz Lux (far left). 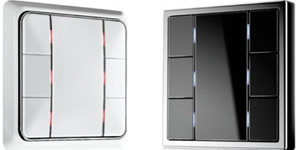 The companies that founded KNX Korea are: ABB, Siemens, Somfy, Dana, Unisys, B2, and Jung. Now the members have grown to include big players, such as Philips, Kaser Solution, Unilux, and Commax. Sejong Special Autonomous City, formerly known as Yeongi county, is a planned city in South Korea. In early 2007, the South Korean government decided to create a special administrative district out of parts of Chungcheongnam-do and a small section of Chungcheongbuk-do provinces, near Daejeon. This would house nine ministries and four national agencies that are currently located in Seoul. The city opened on 2 July 2012, with 36 government agencies slated to move there by 2015. 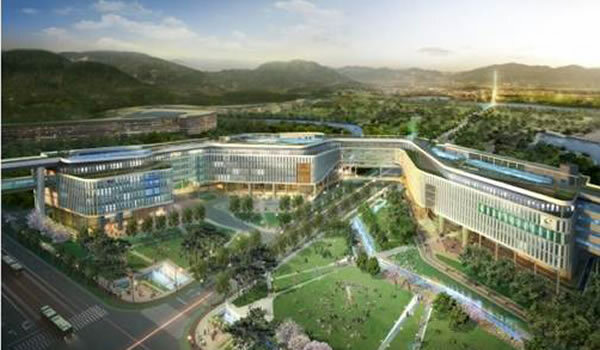 Sejong City government complex with automation based on KNX. Another interesting project is a holistic KNX control solution for a church and the Association’s technical forum. 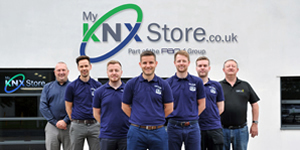 KNX Korea has 10 members already and there are a further four candidates on the list. The group will be actively participating at events in the coming months. There is a Philips KNX Training for members coming up in October, and in November they will participate at the International Home and Building Show, which will be held at COEX (Convention and Exhibition Centre, Korea). 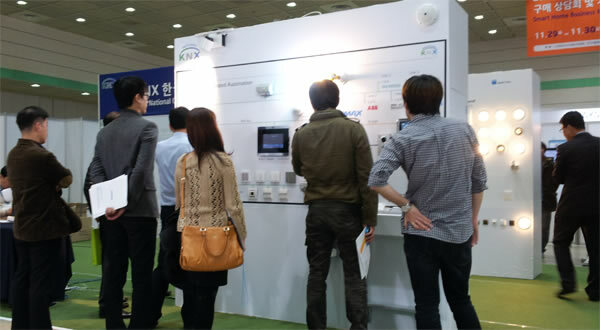 KNX National Group Korea integrated exhibition booth at the International Home and Building Show 2012. 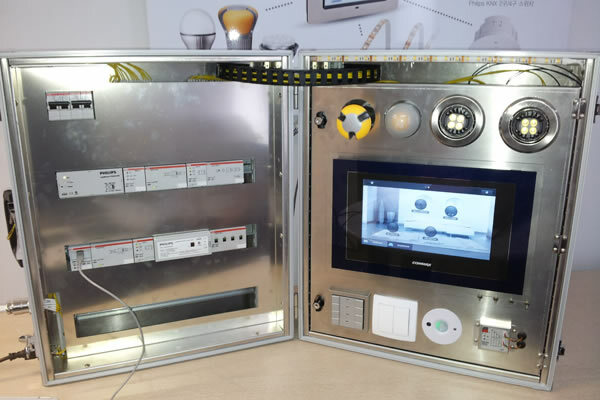 The national group is also in talks with certification body TUV Korea to create a local KNX Approval setup. Through the association, members can find discounted or free entry to industry events and mutual collaboration for specification business applications, such as Integrated Proposal & Design, Joint Purchasing, Price Discount etc.